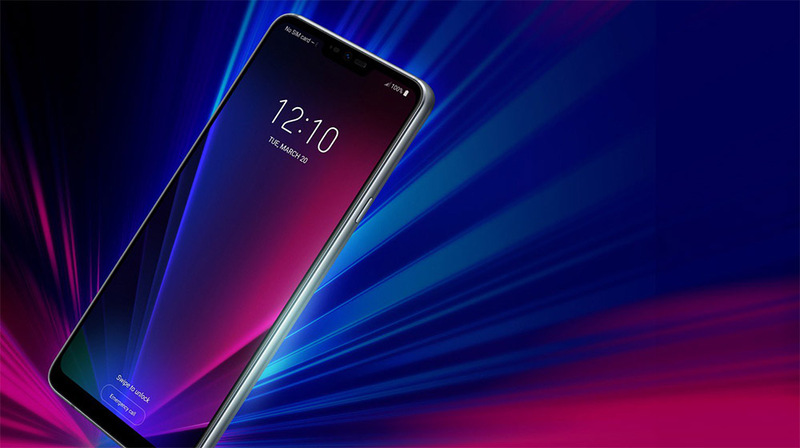 LG’s upcoming flagship G7 ThinQ is hardly a well guarded secret. The company itself has a revealed a lot of information ahead of the launch, including its 1,000 nit brightness level and Boombox speaker. However, we are certain the company has saved the best for the last and we will get to know more at tomorrow’s New York City unveiling. 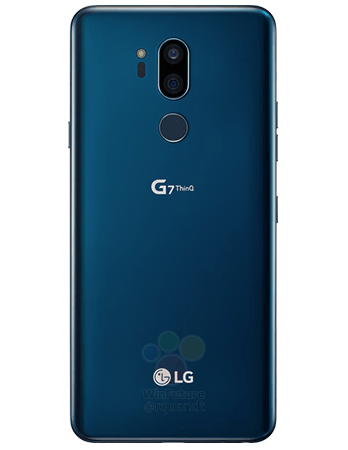 As if the leaked pictures and images weren’t enough to give us an idea of what the G7 ThinQ would be like, today some new renders were leaked along with two photographs of the phone. Are we in leaker’s paradise? It certainly looks like it. That’s not all that has been presented before us. The full specifications sheet has also been outed. It not only corroborates the previously leaked information but also contains new details as well. 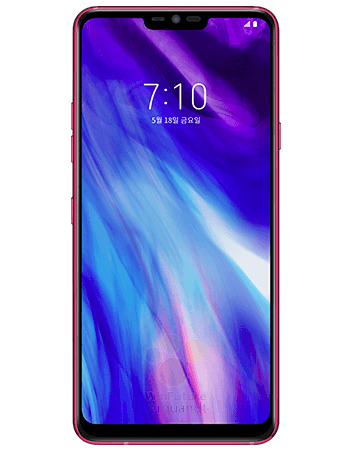 The 6.1-inch phone clearly draws inspiration from the iPhone X. 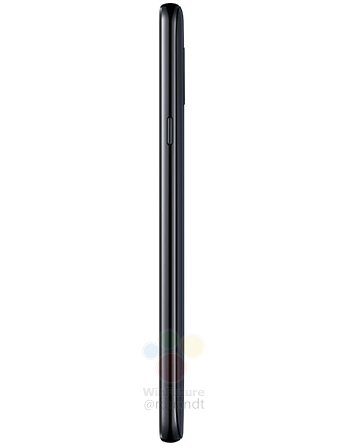 It has a Super Bright Display with an extremely crisp resolution of 3,120 x 1,440 and an aspect ratio of 19.5:9. This part you guys already knew, the flagship is powered by Qualcomm’s Snapdragon 845 chipset, and will be accompanied by either 4 or 6GB of RAM. However, you don’t get to choose which version you want as LG will release different versions in different markets, along with varied internal storage models as well. 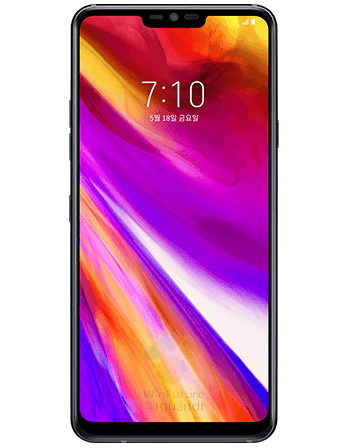 The phone is expected to be four grams heavier and .6mm thicker than the V30. Disappointingly enough, it will have a smaller 3,000mAh battery. The phone will also have a dual camera setup (16MP + 16MP) with a very wide F/1.6 aperture. 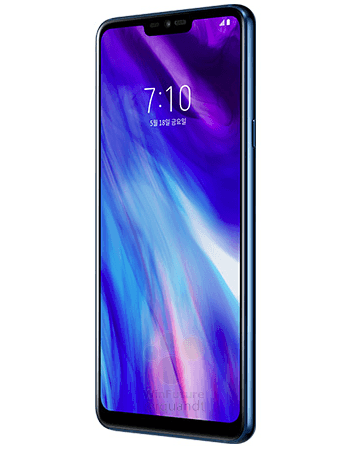 The IP68 certification is also going to be a plus, and charging is going to take place via a USB Type-C port. You will also get to see and experience powerful stereo speakers along with a dedicated button for launching the Google Assistant. Even though the G7 ThinQ doesn’t seem to integrate any groundbreaking tech, it will still be pricey. The phone is estimated to retail at €680 and we will find out tomorrow if this price is justified.